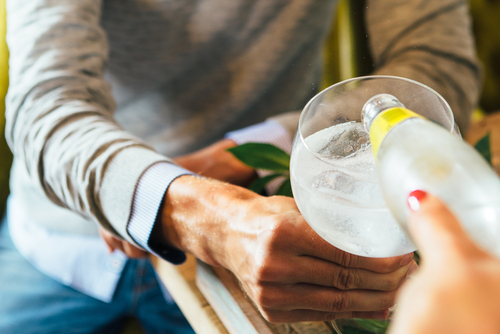 Unless you have been under a rock for the past year you will be aware that Gin has hugely increased in popularity and is now the go-to drink for millions on a night out. It’s no longer ‘Mothers Ruin’ more the trendiest drink in town. 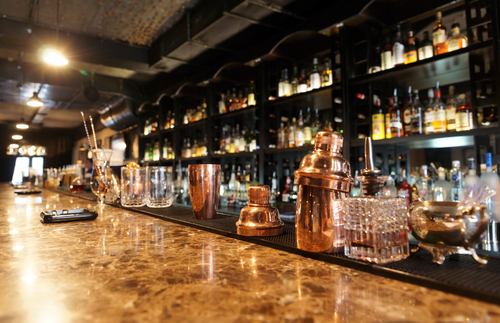 The endless amounts of uber-trendy ‘Gin Bars’ that have popped up over the last 18 months has left gin lovers old and new spoiled for choice. Anyone who is partial to a G&T nowadays knows there’s much more to it than just your standard gin and tonic served with ice and a slice. 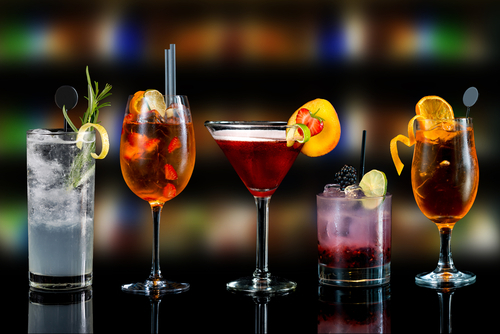 There is a huge variety of Gin’s available on the market each containing different botanicals to infuse the flavours. Not to mention the large variety of tonic also available. From elderflower to cucumber the options are vast. Gone are the days of the only option being to opt for a normal or a slimline tonic. Gin is also, now served with all kinds of fruits and herbs, all of which add to the flavours of the gin to make it something really quite special. The current favourites to add, are a sprig of Rosemary, some fresh basil or crushed raspberries, with orange or a wedge of lime becoming a firm favourite over a slice of lemon. 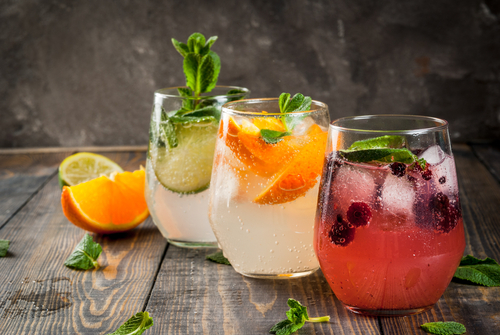 If you’re more of a cocktail girl, don’t panic, you are not getting left behind… Gin cocktails are also on the increase, with more gin cocktails now being offered than any other spirit, you are in for a treat! From the winter favourite, ‘The Bramble’ mixing juicy blackberries with Chambord to create this pretty pink classic, the old fashioned ‘Gin Mule’ with refreshing ginger ale and crushed mint or perhaps a fruity Elderflower Collins will be added to your favourites list! To keep up with the trend we are launching our all-new ‘Gin Cocktail Masterclass’ Don’t worry we will still be providing our best selling cocktail Masterclass but we will be offering Gin as an option. 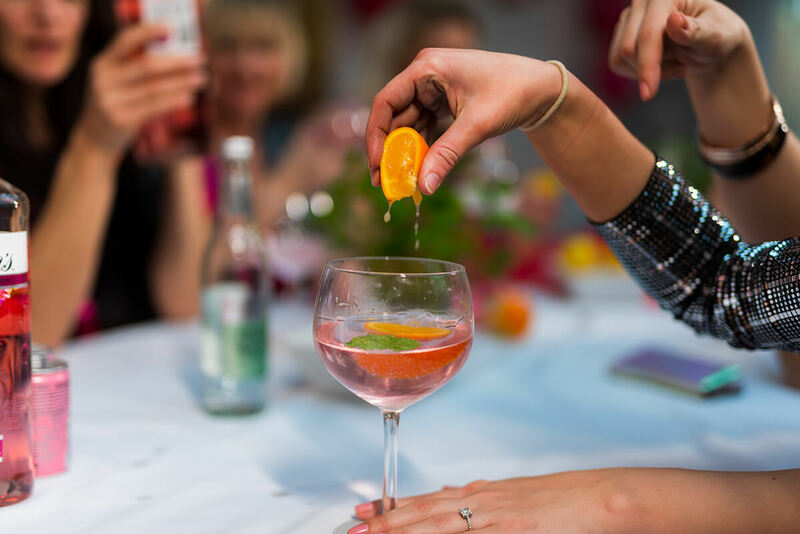 To find out more about our Gin Cocktail Masterclass and to book yours call us today and speak to one of our friendly bookings team.